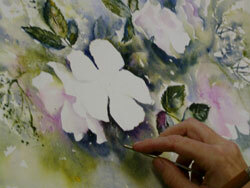 Ann Blockley paints a variety of different flower subjects. These include ox-eye daisies, wild roses, elderflower blossom, dandelion clocks and sunflowers in the countryside; clematis, roses and foxgloves in more formal gardens and teasels in her studio. 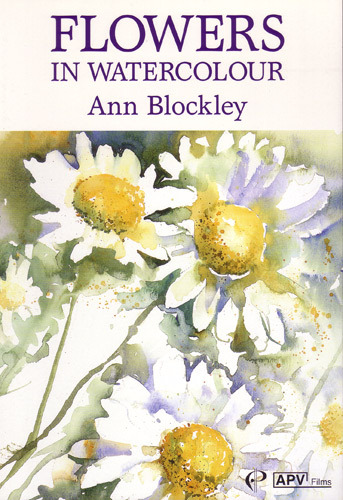 She produces a series of sketches and watercolours both on site and in her studio, resulting in a collection of loose, free watercolours as well as more considered finished paintings. 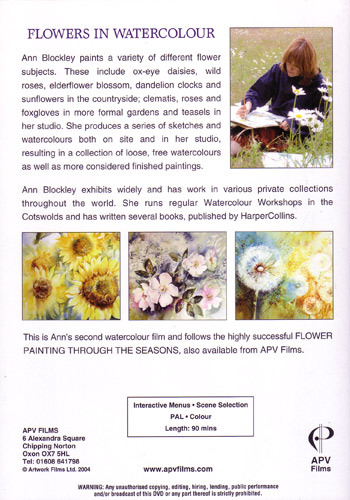 Ann Blockley exhibits widely and has work in various private collections throughout the world. 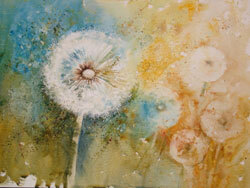 She runs regular watercolour workshops in the Cotswolds and has written several books.